VACOLAO would like to invite you to our upcoming Community Forum regarding the DAPA/DACA extension. While the DAPA/DACA expanded application process is currently on hold while we await the decision of the 5th Circuit, it is important for our communities to be proactive and continue preparing ourselves for the application process by gathering the necessary documents we will need to prove our eligibility for either program. Where: 5401 7th Rd South, Arlington VA 22204 (Greenbrier Learning Center). 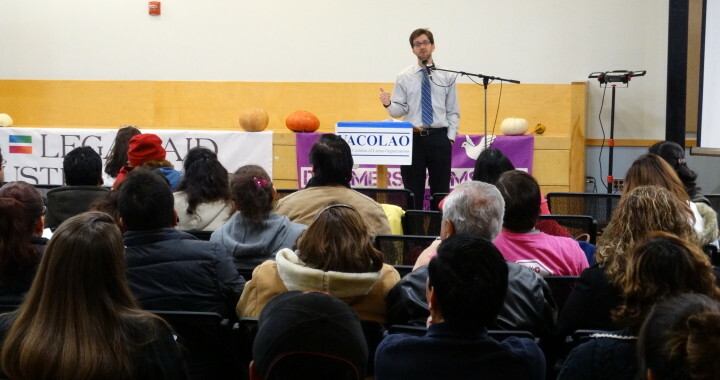 Organized by Greenbrier Learning Center, VACOLAO and Legal Aid Justice Center’s Immigrant Advocacy Program. FAIRFAX: (Spanish). Please click HERE for the flyer. FALLS CHURCH: (Spanish) Please click HERE for flyer. When: Monday, April 20th from 6:30pm to 8:30 p.m. Organized by Legal Aid Justice Center and VACOLAO.